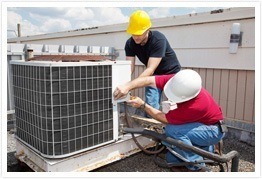 We are licensed, bonded and insured in air conditioning installation, heating, and repair services for both residential and commercial HVAC in all makes and models. In addition to our heating and repair services, we also offer annual maintenance services that are affordable, timely, and performed by trained technicians who are licensed to do business in California. Air conditioning and heating systems should be cleaned and checked regularly to help extend the life of your unit and keep it running efficiently. Our crew of trained and certified heating and A/C technicians are here to help you with troubleshooting, repairing, replacing, and cleaning any residential or commercial system. Do not take risks with your heating and air conditioning systems, instead rely on us to help keep them in working order all year round. Thank you for visiting the website of Brea Heating and Air Conditioning services, also delivered in Yorba Linda and Placentia, California.